The 1967 Trans Am series. 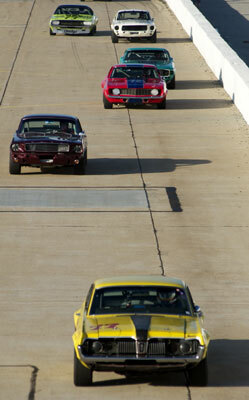 Cougars finished a very close second to the factory-backed Mustangs. 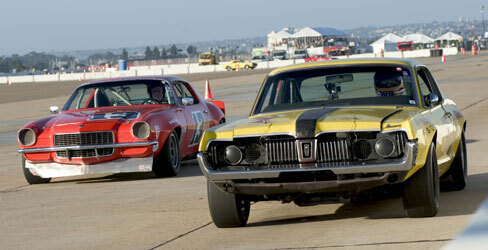 The Camaros, 'Cudas, Firebirds, etc, were cellar dwellers in the 67 series. 67 Cougar Trans Am car. Great to see these race car restorations. 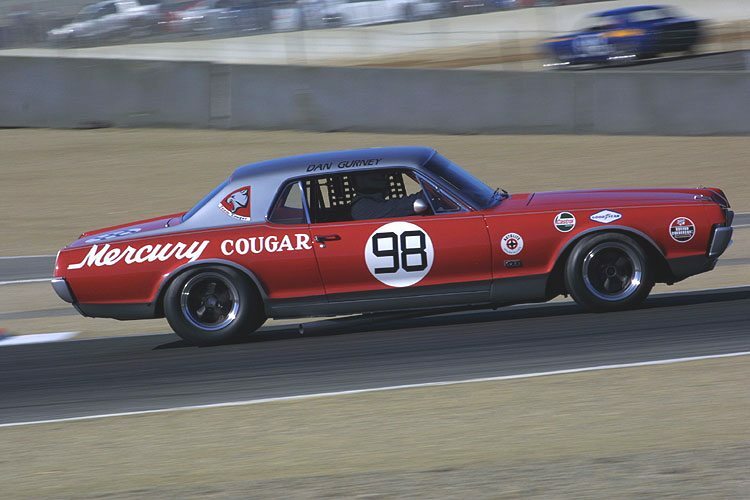 Bob Estes' 67 Cougar that he races in the current Historic Trans Am series. 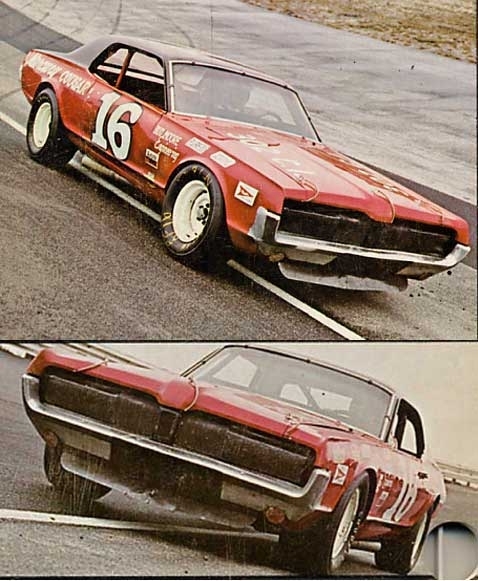 Tiny Lund's NASCAR Baby Grand National car. 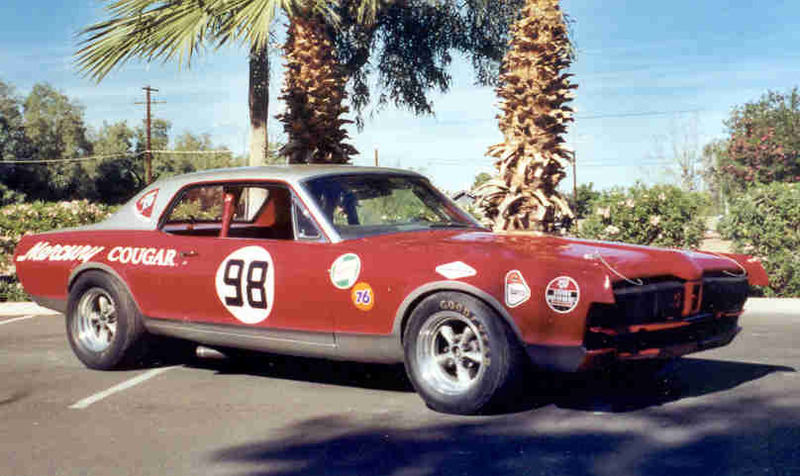 The Dan Gurney Trans Am car. 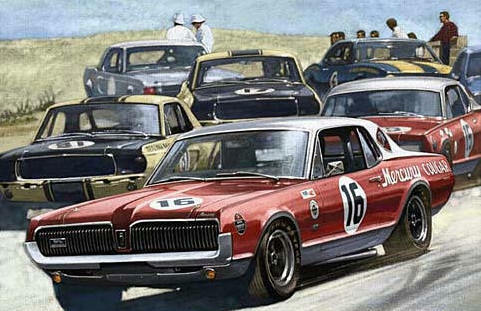 The closest finish in Trans-Am history was at Green Valley in 1967, when Dan Gurney's Mercury Cougar barely beat teammate Parnelli Jones' Mercury Cougar. 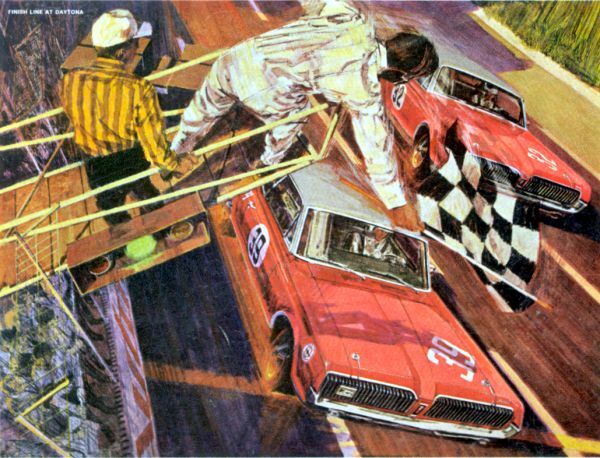 The 1967 NASCAR Baby Grand National series. Cougars brutalized the competition, winning the series by a large margin. No other cars even came close. Bob Estes eating a 73 Camaro at Coronado, CA. The Dan Gurney car at speed.